After a workplace injury or accident, psychological assessment and counselling can support you in returning to physical and mental wellness. It is common to feel down, even anxious. Worries about the future, unanswered questions regarding finances and security, can become a daily distraction. You might even notice that your eating habits have changed, or that you are sleeping more, or much less, than usual. Sometimes these concerns cause people to start avoiding friends, family and activities they once enjoyed; isolating themselves because they no longer take pleasure in socializing. Such changes, although common, can cause additional stress and related mental health challenges. While these experiences are normal following an injury, they are not to be taken lightly when they are interfering with your quality of life. How do I access counselling after a workplace accident? If you would like to access counselling support after a workplace accident, contact us. Our Clinical Director of WSIB Services, a Registered Psychological Associate, will contact WSIB on your behalf to inquire about your eligibility for psychological assessment. If WSIB approves the assessment, the Psychologist will contact you to arrange for an in-person assessment. You will meet with the Psychologist who will conduct a clinical interview, observation, and administer some psychological test materials. With the information gathered during the assessment, the Registered Psychologist will communicate your diagnosis to you, and advise you of their recommended treatment plan. The Registered Psychologist will write a psychological report, a copy of which will be provided to you, and submit the report to WSIB to request funding for the recommended treatment plan. If WSIB approves the treatment, Dalton Associates will connect you with one of our therapists in your community, to begin your treatment plan. Kathi JanusiakDirector of WSIB Services, M.A., C.Psych. Assoc. 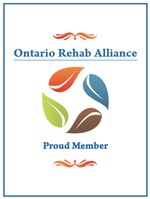 Kathi is a Registered Psychological Associate with the College of Psychologists of Ontario. Since obtaining her Master’s degree in Clinical Psychology, she has worked mainly in private practice and has over 14 years of experience providing assessment and treatment services particularly in the context of WSIB, MVA and LTD referred clients. At present, she provides a full range of psychological services (diagnostic assessment and treatment) to those experiencing various disorders including chronic pain, depression, PTSD, OCD and specific phobia.